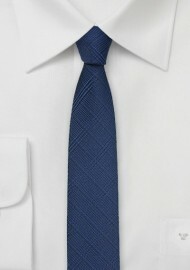 Make a fashion statement with this uber skinny tie in deep patriot blue. The super skinny cut of just 2" paired with the trendy monochromatic check pattern creates one of our most fashion forward pieces. 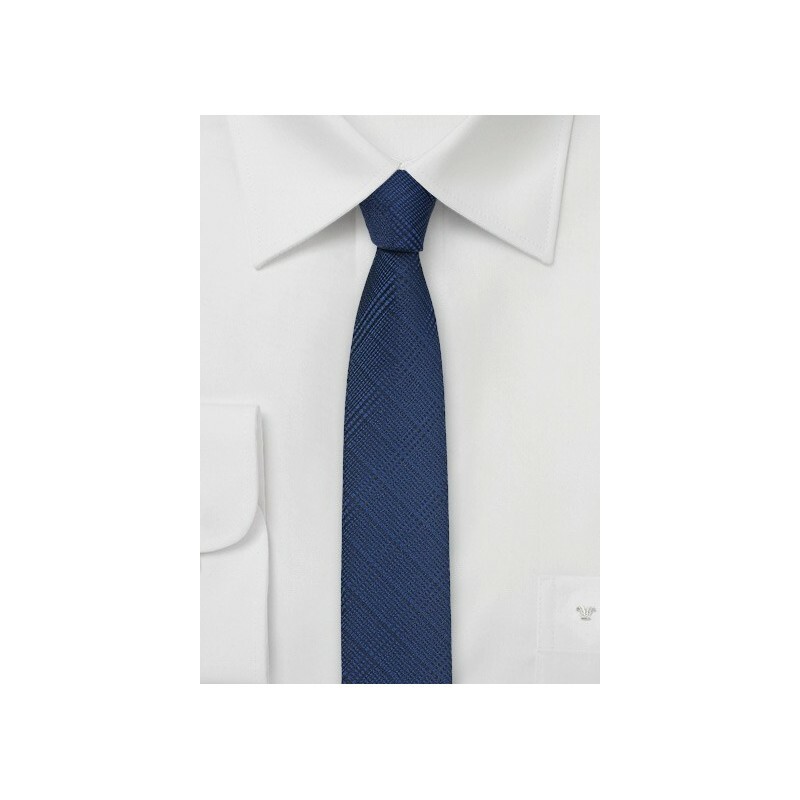 Pair this tie with a solid black shirt and a fitted gray or black suit for best results.